From the first few shots of this wonderful animated feature (the first from newly formed Studio Ponoc), you can tell that this is going to be something special, and you'd be forgiven if you immediately thought this was a new Studio Ghibli movie. 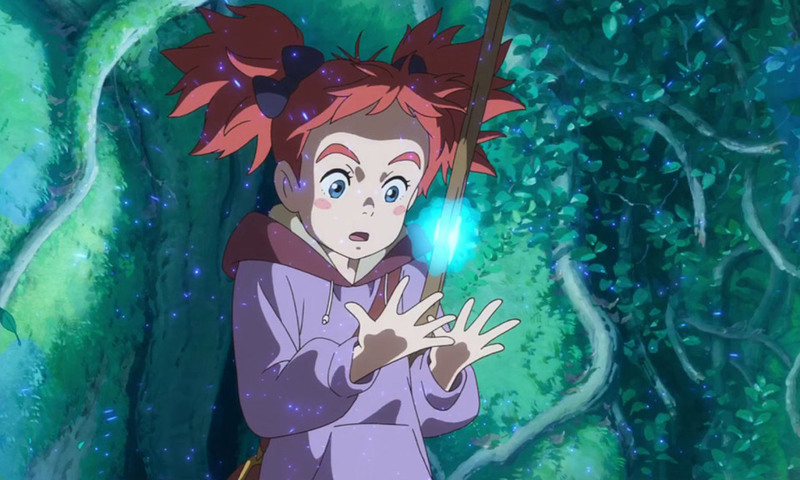 The animation, story, and charm in Mary and the Witch's Flower are all up there with the best of Ghibli's impressive filmography. This shouldn't come as a huge surprise, as Studio Ponoc was formed by some original members of Studio Ghibli. The story follows Mary, who finds a magical flower in the woods that gives her magical powers. From here things get a little Harry Potter as she finds herself in the middle of a school for witches and wizards. That's pretty much where the HP similarities end however. I don't want to get into spoiler territory, but the story and the magical school itself are anything but conventional. As you'd expect, things spiral out of control and it's up to Mary to set things right with her newly found magic powers. What really stood out to me the entire time was the creativity evident in the animation. Every single detail is so clever and unique and...well...cute, for lack of a better word. There's an odd mix of steampunk and high fantasy reminiscent of the titular castle in Howl's Moving Castle, but comparing it to anything would be doing it a disservice as there are some truly unique ideas at work. Mary an the Witch's Flower doesn't have quite the emotional punch of something like Princess Mononoke or Spirited Away (what does? ), but it still has a ton of heart. I'd be surprised if this film isn't in the discussion for best animated film come Academy Awards time. It really is a wonderful film, and I can't recommend it highly enough.